The is past weekend, WDS created an urban princess' dream! Soft pinks, rich Chocolates hues and glamour whites graced Westwood Plateau's beautiful west coast beams. An abundance of orchids were draped in every nook and cranny, while gorgeous orchid toppers created a focal point for each guest table. 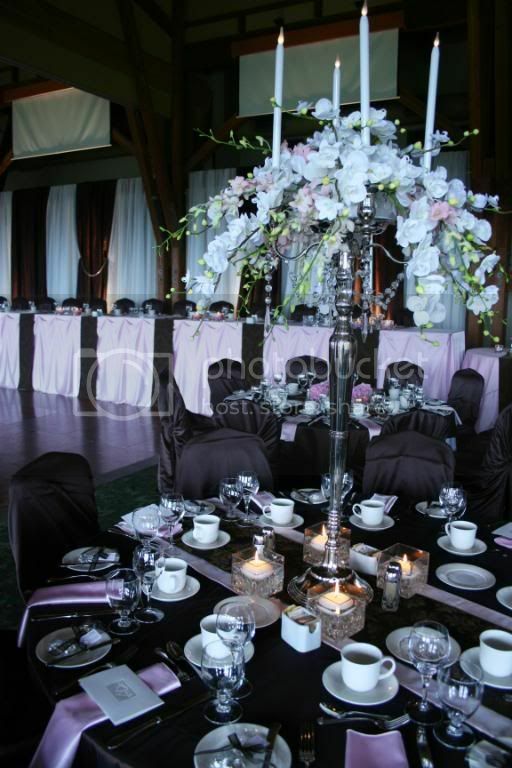 The head table was lined with sunken fresh pink hydrangea to soften the look.